I have another card to share with you today! 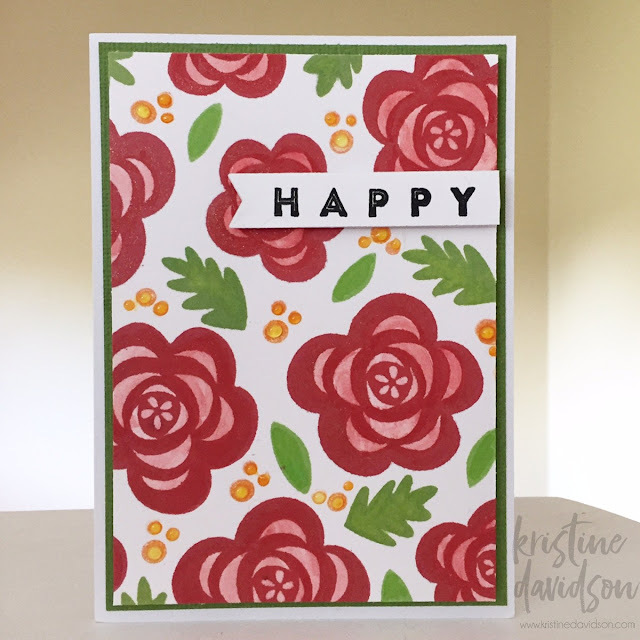 I created this card for Jillibean Soup using some older stamps from the Red Raspberry Soup collection. 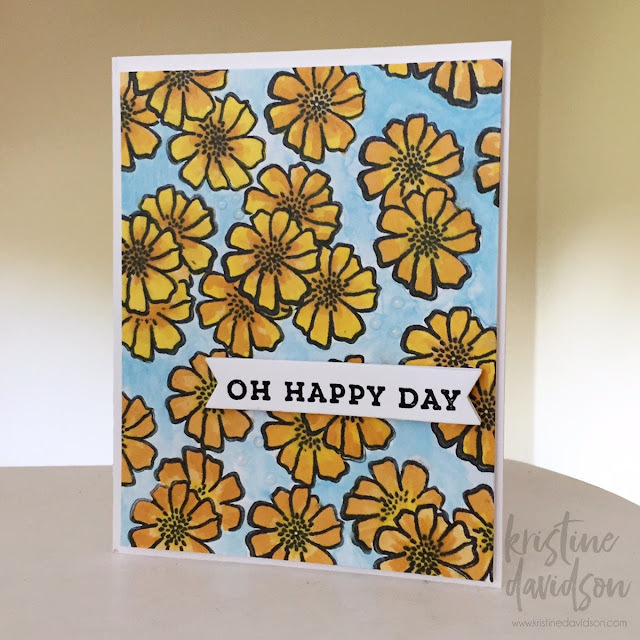 My happy title was stamped and embossed, the small yellow dots were inked and then I added some Nuvo Drops for dimension and texture. So Much Fun! I created this card using stamps from Jillibean Soup, some watercolor paints, and some Spectrum Noir markers. I love the masking technique and used the same stamp throughout my entire card. 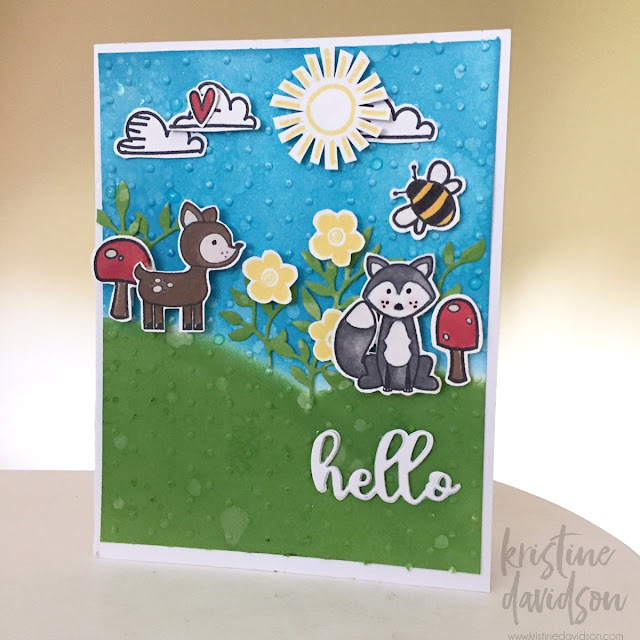 I feel so inspired lately in creating new cards with some new to me techniques. I feel it really has rejuvenated me. Do you ever feel stuck ? or in a rut and not sure what direction you should be going in? try watching a few You Tube Videos from scrapbookers or card makers --- it will inspire you! I guarantee it! I feel like i need to start creating something different lately. The layouts are fun to create but I am at a point where I am searching for something else to get me motivates. 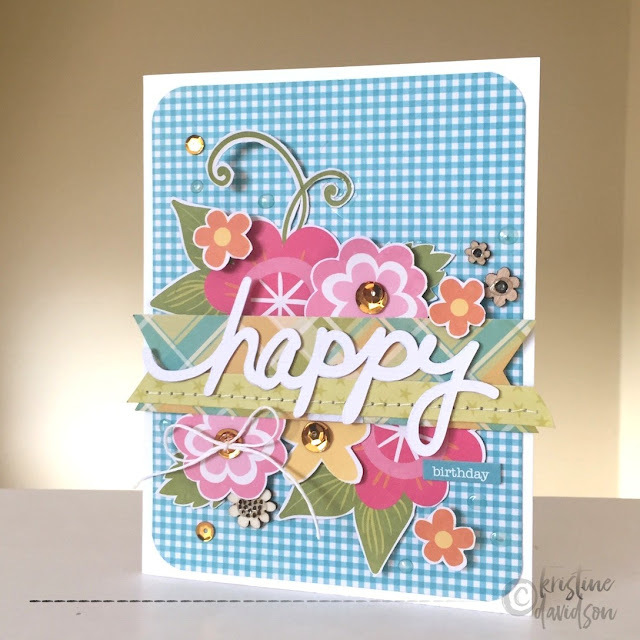 I pulled out some Jillibean Soup stamps for an assignment and had so much fun creating this card. I used the stamp set from Mushroom Medley and purchased a few copic markers to get me started. 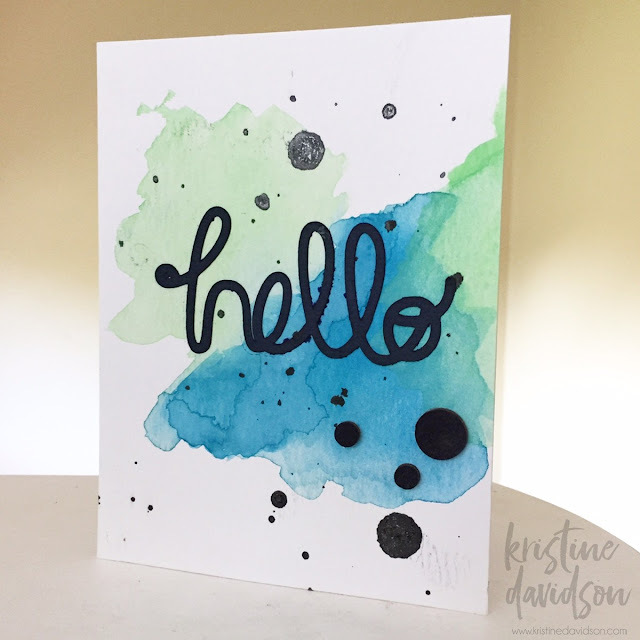 I started getting curious about distress inks, stamps, copic markers, watercolor and so much more. 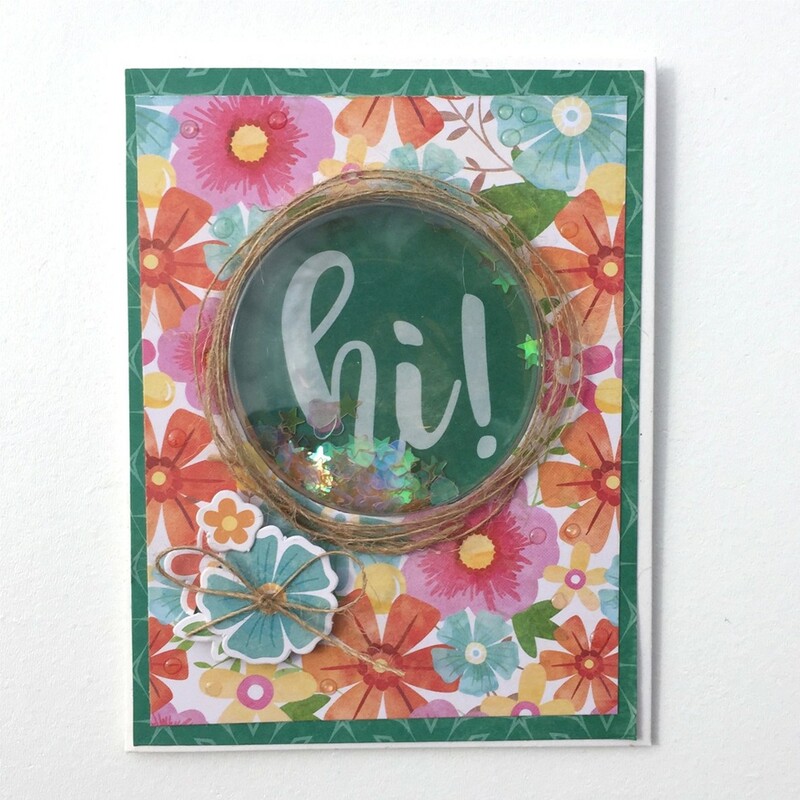 I created this card using exactly that - new techniques. I am looking forward to more discoveries and creating something new! 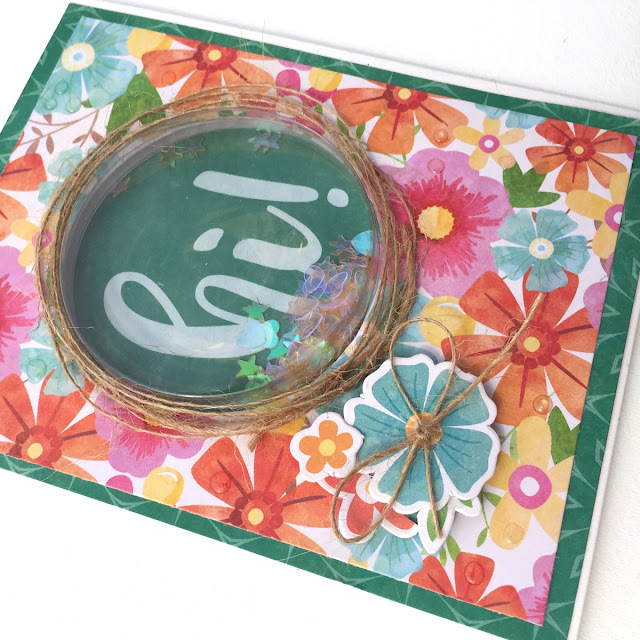 I created this card ages ago using some Jillibean Soup - Bowl of Dreams Collection and a large circle Shape Shaker. 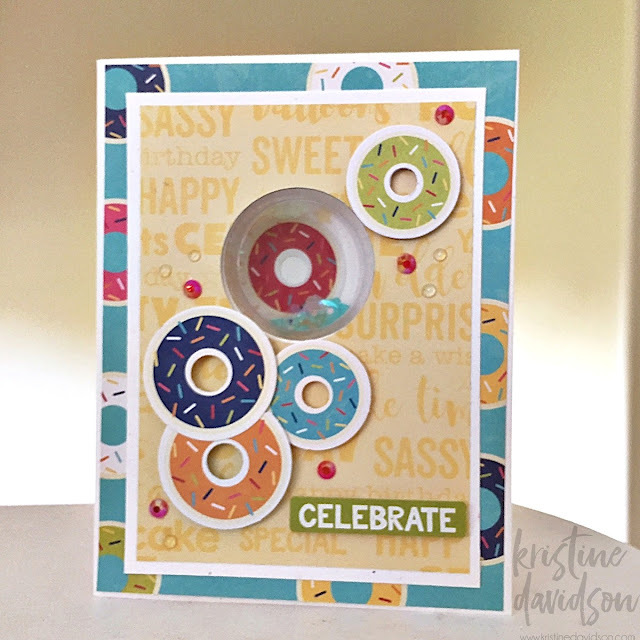 I really enjoyed creating this card and the little sequins inside are so fun to " Shake Shake Shake"! I have been playing with some watercolor lately and created this simple card using paint, a cut out hello using my silhouette and a few wood dots painted in black to add some details to my card. Super Easy!